Thyroid dysfunction and understanding the basics can be overwhelming and daunting. Doctors tell you that “It’s all in your head.” They can’t seem to figure out why your symptoms are getting worse all the while your test results are coming back normal. Does any of this sound familiar? It’s important to be a well-informed patient and hopefully, the basics below will be able to do just that. Let’s start with the basics of thyroid function. Before understanding how it works, we need to know what it is, right? So, what is your thyroid? To simplify, your thyroid gland literally has the power to turn on the ignition to your body. It controls every cell in your body so it can function properly. It provides your body with good energy, healthy metabolism for healthy weight control, healthy brain function, improved mood, and keeps our body temperature at an optimal level. The thyroid hormone goes into every cell of the body if it’s functioning properly, but when it’s not functioning properly your body goes into distress and your symptoms spiral out of control (symptoms can vary depending on what disorder you are plagued with). Yes, there are various types of disorders of the thyroid and one example is Hyperthyroidism. Although it’s the less common of thyroid disorders, it does occur. Hyperthyroidism occurs when the thyroid is over-active and producing too much thyroid hormone. Symptoms include: weight loss, increased body temperature, loose stools, increased heart rate or irregular heartbeat. The most common disorder of the thyroid is hypothyroidism, which is when you don’t have enough thyroid hormone. What does your body do when that happens? Typically your body temperature decreases and you may experience dry skin, cold hands and cold feet. 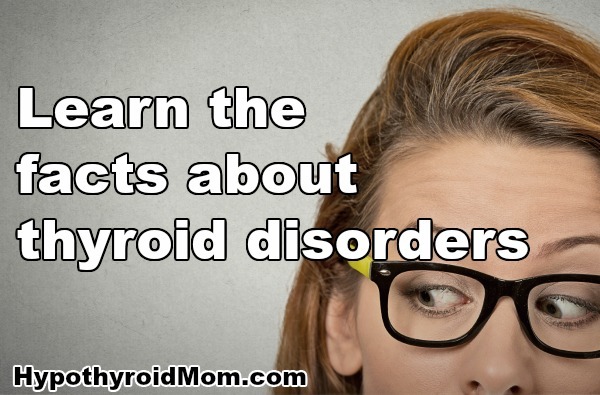 Other possible symptoms include: slower metabolism, constipation, weight issues or difficulty losing weight, depression, brain fog, immune dysfunction, and of course fatigue, which is the main symptom of hypothyroidism. These symptoms, if left untreated, can be life altering. What is the most accurate way to diagnose thyroid disorders? Many primary care practitioners use the most common test which is TSH (Thyroid Stimulating Hormone). However, this test is not the most reliable. An integrative medicine physician will use multiple methods and testing to diagnose thyroid disorders. First, they should listen to your symptoms and typically this can’t be done in a short 10 minute visit. Who knows your body better than you? Who else knows what you’re feeling? Only you can give the most accurate assessment of what’s going on with your body. You know the ups and downs and are the best indicator when something is just not quite right. Next, they should also look at ‘signs’ and observations. This could include puffy eyes, swollen neck and ankles, thinning hair and eyebrows, and a graveling sounding voice. A full panel of lab tests should be ordered to look at your complete endocrine system. Additional testing could include an advanced test, where they would measure basal metabolic rate. This test can determine if your body is in a hypothyroid state. Measurements of your reflexes should also be performed, specifically the relaxation phase of the reflex. If you are hypothyroid, your reflexes will be slow. Lastly, imaging can play a crucial role in determining more serious conditions that could stem from poor treatment or lack of treatment of thyroid disorders. This entails checking for cellular growth, swelling, and goiters on your thyroid gland, as well as, diagnosing auto-immune conditions and cancerous nodules. What lab tests do I need to have performed? You know that the doctor will need to do labs, but which tests are the best to determine the problem? The pituitary and hypothalamus are the control organs of our body and oversee our ovaries and testes, the thyroid and the adrenals. The pituitary produces TSH. Traditionally, if your TSH results are high, you are hypothyroid or if your TSH results are low, then you are hyperthyroid. However, TSH under stress, dieting, or even infection often results in an inaccurate diagnosis. Research has shown that TSH testing alone is not adequate in diagnosing hypothyroidism and hyperthyroidism so it’s important that your doctor addresses the other important components of your thyroid gland – T3, T4 and Reverse T3. The thyroid hormone makes T3 and T4. What is the difference in each of these? T4 is more of a storage hormone or pro-hormone and converts to T3. If T4 is too high it’s usually not converting very well to T3. T3 is the key – it goes right into the cell and turns it on. If your body has too much T4, instead of converting to T3, it will create reverse T3 which can block T3 from getting into the cells. Additional labs that need to be reviewed and taken into consideration are antibodies. What are antibodies and why are they important? When your immune system sees something foreign, such as a virus, bacteria, or parasite, the immune system creates antibodies to attack it. When this occurs, an auto-immune disease exists, which means that your immune system is attacking your own thyroid gland. This in turn creates conditions known as Hashimoto’s Hypothyroidism or Hyperthyroidism (Graves’ disease). It is very important that your practitioner test for these antibodies to ensure your thyroid is not under attack. These tests include anti-thyroid peroxidase antibodies, anti-thyroid globulin antibodies, and thyroid stimulating index. Why does your immune system attack your thyroid? Hashimoto’s thyroiditis is a condition where your immune system attacks your thyroid gland and causes it to function improperly. Whenever there is dysfunction in the body, the immune system gets involved. Also, gluten intolerance can play a role. Gluten is a very large molecule that we are not meant to digest. The immune system forms antibodies to attack it. This correlates to Hashimoto’s and Graves’ disease as the antibodies tend to attack it because the molecule mimics the thyroid molecule. Hashimoto’s causes reduced thyroid function leading to Hypothyroidism. How do you effectively treat thyroid disorders? Basic treatment includes supplementation along with the correct dose of thyroid medication. But this means more than just taking your daily vitamins and any thyroid medication. Proper thyroid supplementation could include selenium, iodine, and tyrosine, which is protein. It is important that your diet includes an adequate amount of protein and iron (iron deficiency can also be connected to hypothyroidism so it is important to have your iron and ferritin levels checked regularly). For optimal thyroid function, your must be on the correct dose and type of thyroid medication. (This can take a while so be patient). It is important that your doctor monitor your thyroid dose and test often to ensure your symptoms subside or that new symptoms do not occur. Additionally, Low Dose Naltrexone is also used for treating auto-immune disorders, such as Hashimoto’s, as it supports and modulates the immune system. Thyroid disorders can be treated effectively. It is important that you find an integrative health care provider who listens to you, understands the correct lab testing, and develops a treatment plan that works for you. With effective treatment, proper supplementation, and a healthy diet, you can overcome the symptoms of thyroid disorder and regain your health. The Holtorf Medical Group has dedicated their practice to providing you the best in evidenced-based, highly integrative medicine that’s not only safe and effective, but provides measurable results. Their physicians are trained to provide you with cutting-edge testing and innovative treatments to find the answers you deserve and a treatment plan that is personalized to your specific condition. They’ll guide you every step of the way, monitoring your results to not only improve your symptoms, but optimize your health and improve your quality of life. Holtorf Medical Group has several locations in the U.S.